Here are a few samples of what we've been working on recently! Here is a sample of one of latest works for the lovely couple Mia and Angus. We designed Invites, Order of Service, Table Plan, Table numbers and Name Cards. 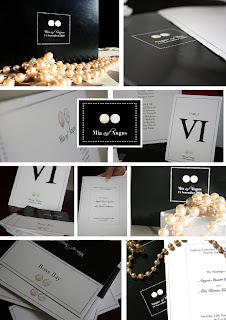 A beautiful theme of black, white and pearls gives a simple elegance with a hint romance. Here's a sample of one of our new designs. Clean, fresh and green! A simple favour box with a splash of green makes for a striking addition to your table settings! Inspiration can come from anywhere. 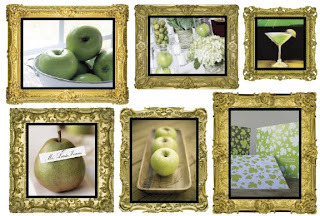 Something as simple as Granny Smith Apples can inspire and theme your whole wedding. 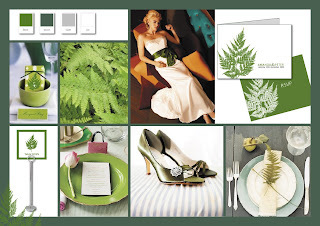 Take a look at our inspiration board for some idea. 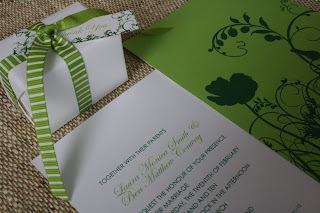 Our invitaion design "Grape Vine" suits this theme with its fresh green colours! Check out the whole Grape Vine set on our website. Hello there to all you Cocoa Berries! 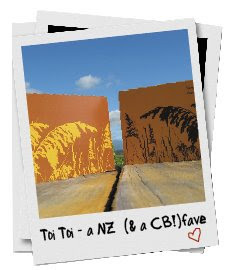 This is our first time....so let us tell you a bit about us. 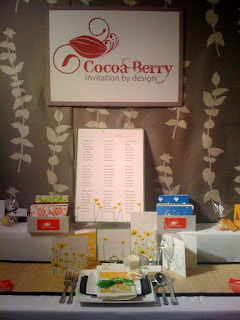 Lucy & I (Charlotte) have created Cocoa Berry Design to help ya'll have the best wedding stationery ever. 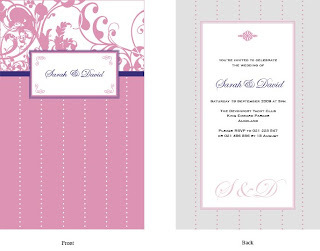 We believe in letting your wedding invites show your personality and set the expectations for the big day. 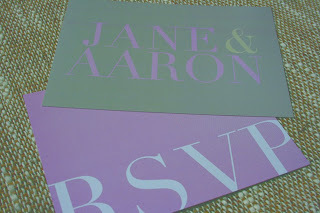 We love designing invitations and love a challenge! 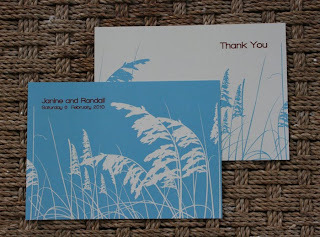 So contact us and we can work together in creating beautiful, fresh designs for your perfect day. 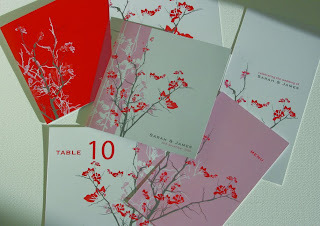 We have just exhibited at our first wedding show in Auckland (see photo at top of page). It went really well and we had a great response - it was lovely to meet everyone!